We know firsthand how daunting learning to drive can be, but luckily there are hundreds of driving schools in Cape Town to choose from. The difficult part is, of course, selecting one. That’s why we’ve simplified the search, boiled down the masses and taken out the extra stress by finding 10 of the best options in the Mother City and surrounds. Whether you live in the Southern Suburbs or City Bowl, you’re sure to find a quality and affordable driving school in our overview below. 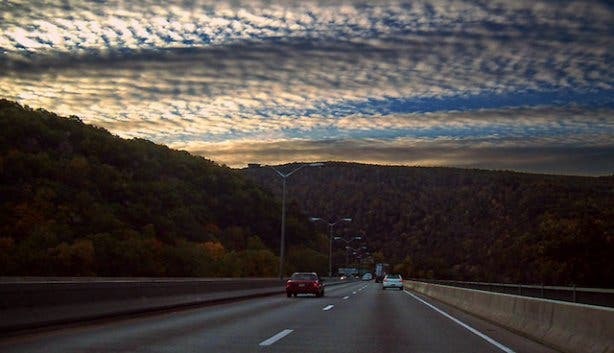 Good luck and happy driving! 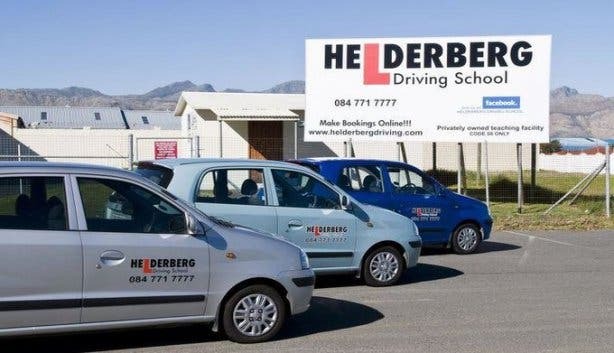 One of the most popular names in the driving lesson industry, He and She Driver Training Centre is a national company spanning Gauteng and Western Province regions. In fact, with over 44 years of teaching experience, the company claims the title of best in the business. 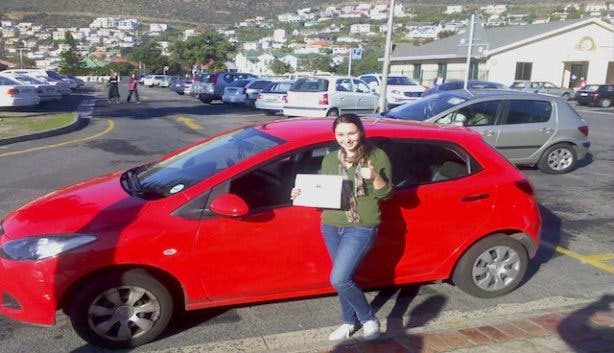 In Cape Town specifically, driving courses are available every day but Sunday with fully qualified instructors. Learners’ courses, which prepare students for the theoretical Learner License Test, are also available every day except Friday. 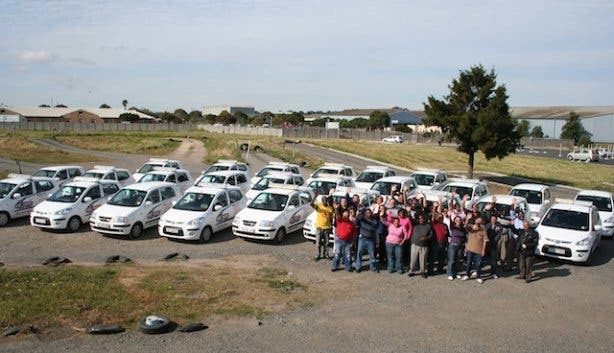 Not to mention, drivers who have already gotten their stripes can brush up on their skills with one of the organisation’s defensive driving, anti-hijacking or economical driving lessons. Pick-ups and drop-offs are also included as long as you live within the serviced areas stated below, and students are urged to use the company’s fully insured manual vehicles during instruction. Another top name in the driving school world is none other than the 27 year-old Torque Driving Academy and its no nonsense experienced instructors. Scattered across the Cape Town and surrounds, teachers offer lessons in any part of the city at one of the cheapest prices in town, with pick-up and drop-offs included. Both manual and automatic cars are provided for student use, and learners’ classes can also be organised. Check out their website for a list of packages, like the 10-hour lesson and car usage (for the test day) deal for a price of R1300. Lesson fees: Expect to pay R130 per hour for lesson. 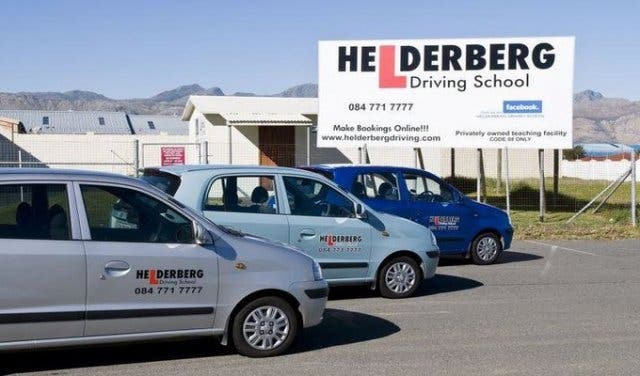 As one of the few certified driving schools in the Mother City with a K53 parking facility, the family-run Helderberg Driving School is an extremely popular choice for learners living in the Somerset West, Strand and Gordon’s Bay areas of Cape Town. What’s more, as 2013 marks the school’s 20th birthday, those in the driver’s seat can be confident that the company’s seasoned certified instructors will offer reliable instruction (choose from one hour, one and a half hour or two hour lessons). Not to mention, thanks to the teachers’ flexibility, students may learn in whatever manner they feel is best. Manual cars are available for teaching, but if students wish to learn in an automatic, they can provide one themselves. Learners’ courses are also available. Pick-ups and drop-offs are included in the lesson price. Lesson fees: Lessons cost R170 per hour. 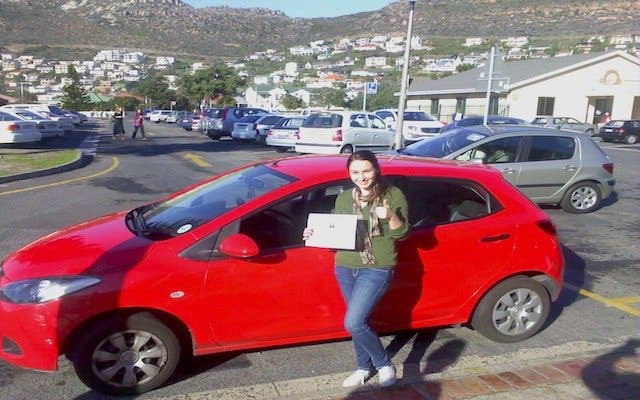 Priding themselves on one of the highest first-time pass rates in Cape Town, Instruct-U-Drive Driving School may be the perfect fit for the learner driver keen to skip those pesky second and third driving tests. Students may choose from per hour lessons with qualified instructors or discounted package deals, like the company’s six lessons for R870 or 10 lessons for R1400. All lessons are held in provided manual cars, but students are welcome to use their own vehicle as well (necessary if students want to take the test in an automatic). Pick-ups and drop-offs are included in the price if you live in the Goodwood area. The school also offers driving instructor training lessons and learners lessons at their facility in Goodwood (with a guaranteed first-time pass on the theoretical test!). Lesson fees: Lessons cost R150 per hour (but may be more if pick-ups are outside of the serviced area), and hiring a vehicle for the driving exam costs R550. Learners’ classes cost R300 for the 8-hour set. With a motto of “Not your ordinary driving school”, Aubrey’s Driving School – it’s been around over 15 years - pays extra attention to detail in all matters of instruction. For instance, each student receives a progress report after every lesson, making it easier to learn from past mistakes before the next lesson. Not to mention, instructors are forbidden to talk on their mobiles or book lessons for other clients during instruction periods, and lessons can be organised all seven days of the week. With small courtesies like these, Aubrey’s driving school is a natural choice for those who want to get the most out of their learning. Lesson fees also include the use of power-steering vehicles and pick-ups and drop-offs within the serviced area. What’s more, learners’ theoretical lessons are available, and the school guarantees a first-time pass on the learner exam when you study with them! 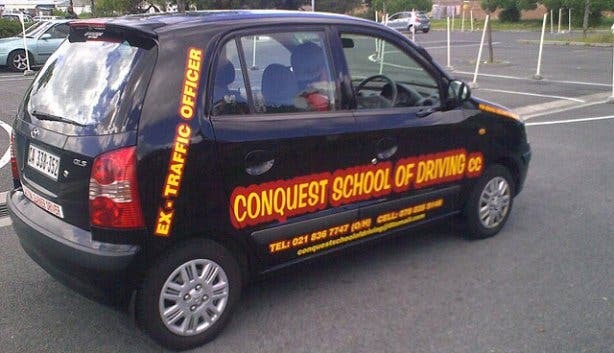 Lesson fees: Lessons cost R120 per hour (though, ask for specials and packages), and it’s an additional R400 to use a vehicle for the driving test. 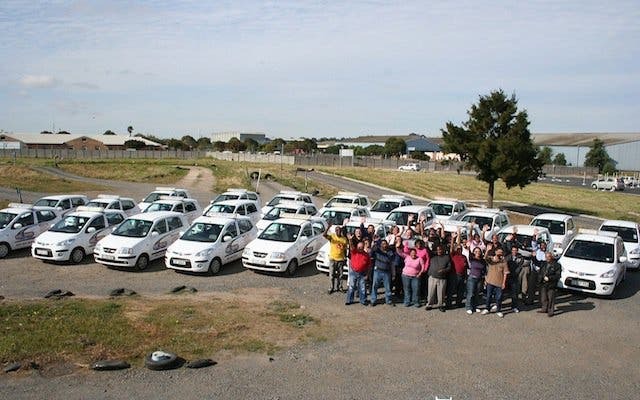 The Bothasig-based West Coast Driving School is one of the leading driving lesson services in the Big Bay area of Cape Town. Their experienced and patient instructors know that driving lessons and tests are stressful, time-consuming and costly. That’s why West Coast Driving School is committed to teaching learners skills for a variety of scenarios in a manner as efficient as possible. Pick-ups and drop-offs are included in course rates, and manual cars are offered for lessons (students must supply their own car if they wish to be taught how to drive an automatic). Tutorials for those looking to pass their Learners License Test are also available. Lesson fees: Lessons cost R160 per hour. 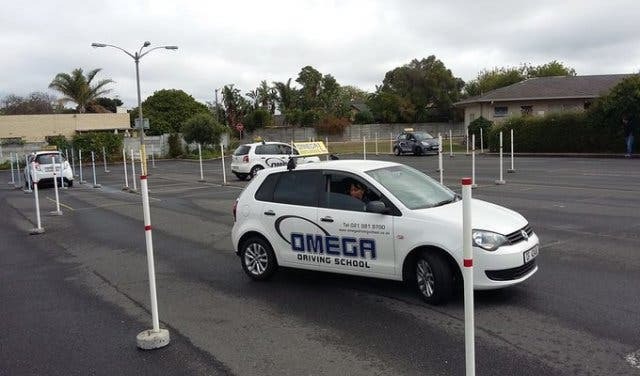 At Omega Driving School, qualified instructors are committed to having students pass their drivers test on the first go. Therefore, the dedicated team of staff offers learners’ classes twice per week and as many drivers’ lessons as necessary by appointment until students are ready for the exam! Pick-ups and drop-offs are included in the price of the lesson as long as the student lives in the Northern Suburbs, and manual vehicles are available during lessons. 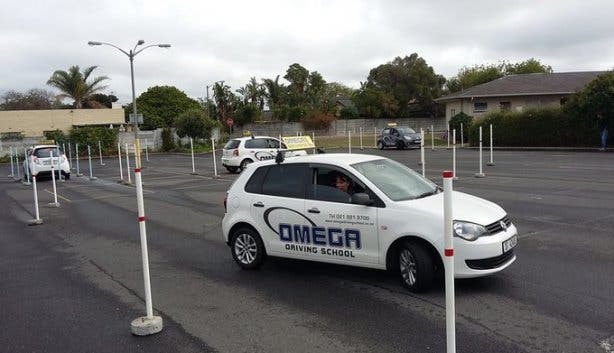 Omega also has its own parking facility in Brackenfell that students may use for practice (alone or with an instructor) for an additional fee. Lesson fees: Expect to pay R200 per hour for lessons. Their K53 parking facility is also available to anyone for as little as R30 for 30 minutes and R40 for 60 minutes, with the use of one's own vehicle. If you are in the market for flexible yet reliable driving instructors, DrivaSmart Driving School may offer just the driving lessons for you! Their team of highly qualified teachers services most Mother City suburbs (insuring lessons in any area of greater Cape Town) and provides efficient training in their own manual vehicles. Alternatively, if you are looking for learners’ lessons for the theoretical test, DrivaSmart offers in-home hourly lessons for a fee of only R199 per two hours. They also will build custom packages to suit any learner or driver’s needs! Lesson fees: R155 per hour is the usual rate, but if you book longer lessons (i.e. two hours, etc) discounted rates apply. Now that you’ve found your perfect driving school and are preparing to be a licensed driver, read up on how to pay those annoying traffic fines!